There are few safer bets in the Fringe than Toronto’s Sweethearts. 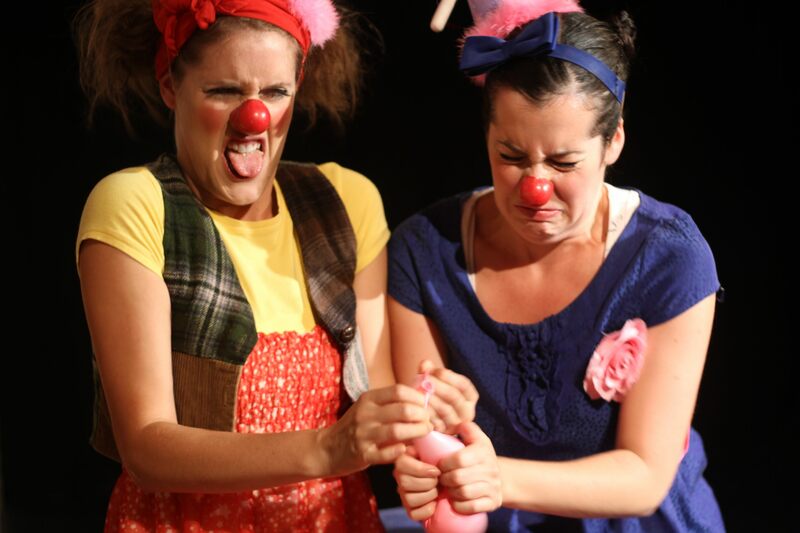 The duo’s remount of their 2009 Toronto Fringe triumph is everything you could possibly want in a show about clowns going through puberty. It’s an absolute joy watching two performers at the top of their game who know and love their characters as much as the audience. The play itself is an exquisitely crafted theatre experience with crystal clear moments, precisely timed laughs, real talk about menstruation and its accessories, and some very well placed satirical jabs. Being real pros, Heather Marie Annis and Amy Lee make all of the above look like the easiest thing in the world. Speaking of the world, there was something extra special about seeing the show on Canada Day as the show is being taken to this year’s Edinburgh Festival. It’s hard to think of better ambassadors for Toronto theatre and our Fringe abroad. So, go! Buy your ticket! Support the efforts of our hardworking clowns overseas! You’ll be glad you did. Sometimes an intriguing title and a well-crafted publicity blurb are all that’s required to get me interested in attending a Fringe show. And that kind of gamble pays off in spades more often than not. House of Squalor Productions and the show’s cast are mostly Queen’s University graduates who are doing their alma mater proud. They present a story that runs rife with absurd moments and a general commitment to the bizarre. I will admit to hearing some negative chatter from my fellow audience members after the show, but I think a show like this proves the value of festivals that take as many risks as their artists. It’s a play on the fringes. It won’t be to everyone’s taste. It’s not revolutionary by any stretch of the imagination, but it’s wacky fun. And some days, that’s just what you need. I hope this script goes through further development to correct some of its subtle imbalances and is cast with age-appropriate actors in the future. The Newsroom 203 "Willie Pete"